Epub version compatible with ipads, ibook or other devices that use the epub ebook format. Please click the add to cart button below each item to pay for ebook with no shipping charges. You will then be directed to a download page for your item. THE ENNEAGRAM OF G.I. 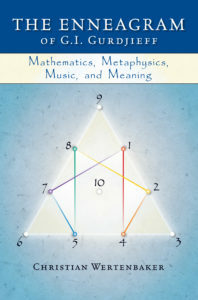 GURDJIEFF, Mathematics, Metaphysics, Music, and Meaning, explores various aspects of the enneagram, the symbol that G.I. Gurdjieff introduced to the modern world, and which he stated represented a complete description of the laws governing the universe. Because of the importance he attached to it, it has long intrigued followers of his teaching, and others, yet the understanding of its meanings remains very incomplete. In particular, how it relates to modern mathematical and scientific descriptions of the laws governing the universe has largely been unexplored. This book explores connections between these two approaches to the truth, while also recognizing and exploring the differences between knowledge based on symbols and that based on scientific theories and mathematical formulae. 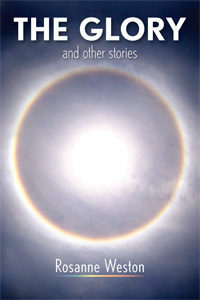 This collection of stories presents characters drawn with such depth and detail that you will swear you met them somewhere before. The self–described “old maid” who marries at 73. The high school principal who sees his orderly existence upended by a new colleague. The middle–aged, divorced woman who has a series of dreams that alter the course of her life. Whether facing the circumstances of their lives with clear vision or stumbling along with unwitting blindness, these and other characters are never less than recognizable human beings with contradictions and secrets hidden even from themselves. Told with humor and poignancy, these eight intimate stories speak to the spiritual question of what matters in life and remind us that things, and people, are not always what they seem.